El futuro es factible, así que ¿cuáles son las posibilidades? Bajo el lema Possibilities, Amman Design Week 2019 aborda el diseño como un catalizador para soñar; el acto de imaginar lo que puede ser diferente de la forma en que es hoy y cómo encarar estos cambios. "Possibilities" es una celebración de lo ficticio, de lo incompleto y sin resolver. Invita a la creación de escenarios y narraciones por parte de los creadores y hacedores. It may appear futile in the context of our current time and place to shift the focus of design from one that is preoccupied with the many urgent social and economic challenges to one that allows us to dream of new possibilities – or maybe it is specifically in this moment that it is the most relevant. Shifting our reading of the everyday and the vernacular, the abandoned and the unused, the problematic and the unnecessary, allows our views on design to transcend from a performative and problem-based viewpoint to one that uses the existing as a toolbox for creation. 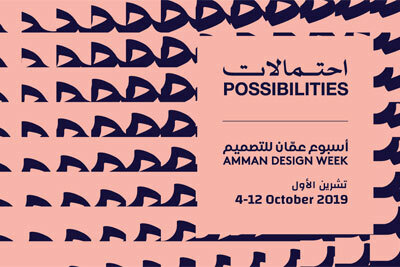 Amman Design Week 2019 will also see the return of the Crafts District, a social space and showcase that merges contemporary design practice with traditional craft and cultural heritage in Jordan, as well as the Student Exhibition, highlighting innovation and research by design students across the country. The nine-day event, which last took place in October 2017, has grown to become a pivotal event in the region, and has experienced audience numbers of 89,000 visitors who came out to see works by 160 participating designers and 50 participating spaces across the city. 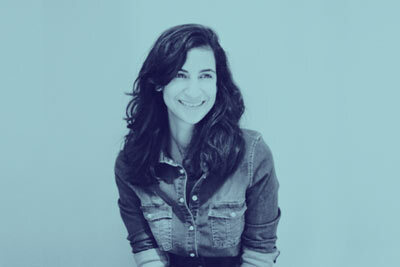 El Círculo de Asesores de ADW incluye a individuos que han sido fundamentales para la Amman Design Week desde su inicio: ‬Abeer Seikaly‭, ‬Ammar Khammash‭, ‬Dr‭. ‬Mohammad Al Asad‭, ‬Nora Akawi‭, ‬Lara Zureikat‭ ‬y Sahel Al Hiyari‭.